The Columbus, Ohio employment attorneys at Nardone Limited regularly assist our clients with labor and employment issues, such as Department of Labor compliance, as well as advice on preventing and responding to discrimination charging affidavits filed with the Equal Employment Opportunity Commission (“EEOC”) and the Ohio Civil Rights Commission (“OCRC”). As a part of our monitoring of legal updates in employment law, we are always staying alert about government administrative agencies in the labor and employment area and following their actions on policy changes. In that vein, we have been monitoring and noting significant recent changes in the standards that identify when two companies may be deemed joint employers. A joint-employer relationship arises where two separate employers or other entities exercise control over the employment terms of an employee. This issue frequently arises when a business obtains temporary workers through a staffing agency— creating a natural question of which entity is the temporary worker’s employer, or whether both companies may be deemed joint employers. If a joint-employer relationship is found to be present, both employers may be held liable for alleged labor practice violations and other requirements for employers. Thus, there is an important legal significance to a temporary worker being deemed an employee of your business, as opposed to an independent contractor. In fact, a potential joint-employer designation can affect your business’s liability for conduct of the individual worker and impact your business’s compliance requirements regarding tax withholdings and labor laws for that individual. As a result, we have been closely watching recent shifts in the joint-employer test that began during the Obama administration after several decades without changes to the test. During the Obama administration, the National Labor Relations Board (the “Board”) held that the key question in determining whether a joint-employment relationship exists was whether the alleged employer actually exercised control over the employee. In other words, if an employer brought on a temporary worker from a staffing agency, did the employer supervise that temporary worker? Did the employer direct the day-to-day activities of the temporary employee? Thus, historically, the joint-employer test has focused on actual control being exercised over a worker. The Obama-era Board changed the test, however. Instead of focusing on actual control, the Obama-era test looked merely to the “right” to control. Specifically, in its 2015 Browning-Ferris Industries of California, Inc. decision, the Board overturned decades of precedent and announced that an alleged joint employer would no longer need to be proven to have “direct and immediate control” over employment of the workers in question. This change has a significant effect on employers, including dental practices that routinely utilize hygienists brought on through staffing agencies. Under the Obama-era rule expansion, even if an employer did not actually exercise direct control over a temporary worker, joint employment may be created merely if the alleged employer maintained the right to control the worker in its contract with a staffing agency. To address this expansion to the joint-employer test, the NLRB now seeks to use its rule-making process to address the recent confusion in its standard for joint employment. On Friday, September 14, 2018, the National Labor Relations Board (NLRB) issued its Notice of Proposed Rulemaking in the latest attempt to address the “joint-employer” standard under the National Labor Relations Act. The proposed rule states that a separate entity will be considered a joint employer “only if the two employers share or co-determine the employee’s essential terms and conditions of employment, such as hiring, firing, discipline, supervision, and direction.” In sum, this proposed rule would return the joint employer standard to longtime precedent. 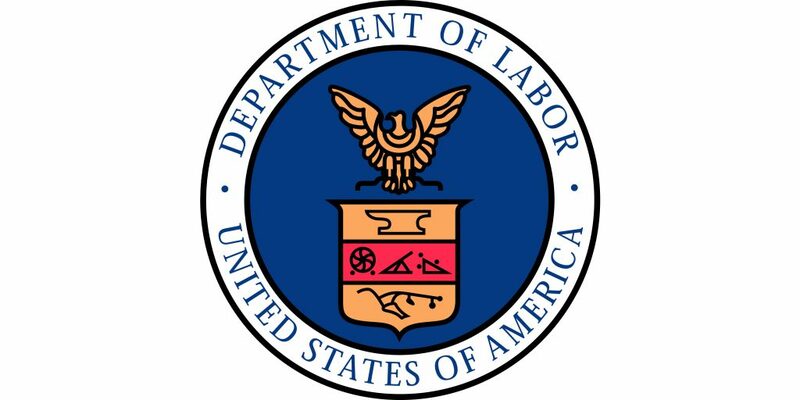 Further, the DOL’s Fall 2018 Unified Agenda of Regulatory and Deregulatory Actions stated that the DOL would issue a notice of proposed rulemaking to define and limit what entities will be deemed joint employers under the federal employment laws that the DOL enforces and interprets, such as wage and hour laws. Thus, both the NLRB and the DOL have gone forward with promised regulatory action to narrow the Obama-era expansions to the joint-employer test. As a result, in 2019, employers can expect positive developments from the Board in a number of areas regarding provisions under the National Labor Relations Act (NLRA), including changes to the joint-employment test. Most significantly, we will see the Board continue to reverse Obama-Board decisions that had dramatically expanded the number of companies that would be deemed joint employers and the nature and scope of what employee concerted activities are protected under Section 7 of the Act. The Board’s ongoing rule-making process was complicated by a recent decision from the D.C. Circuit, which held that the Obama-era rule expansion was a valid exercise of the Board’s powers and was consistent with the common law joint-employment test. The D.C. Circuit ruling likely indicates that any attempt to significantly walk back the Obama rule—as the Trump Board’s draft rule will do—will likely be met with skepticism from the D.C. Circuit. As a result of the ruling, the current Board extended the initial notice-and-comment period through January 14, 2019 regarding proposed changes to the joint-employment test. Thus, further clarification from the Board or the Department of Labor may be significantly delayed until late into 2019. In the meantime, employers should continue to work with counsel to carefully vet their agreements with independent contractors, staffing agencies, franchisees, and anyone else performing services on their behalf.